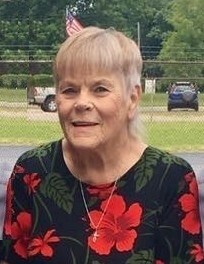 Susan Marie Lolmaugh, age 78 years of Niles, Michigan died peacefully at 5:32 a.m. on Wednesday, March 27, 2019 with family at her bedside at the Hanson Hospice Center in Stevensville, Michigan following a brief illness. She was born on December 11, 1940 in Mason City, Iowa to Frederick Otto and Eileen Frances (Bucknell) Grelk. She attended schools in Mason City, and moved with her family to Colorado. She has owned and operated franchise restaurants for Taco John’s in several states before settling in Niles in 1984. 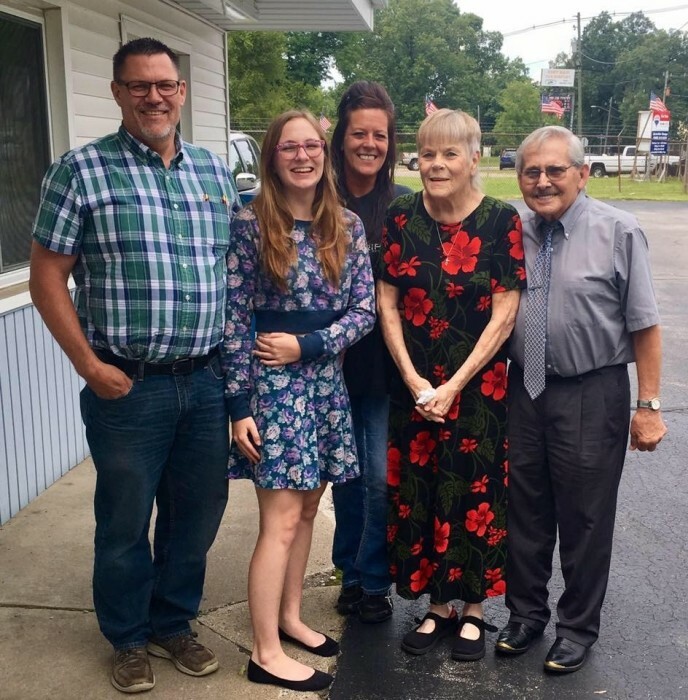 Susan attended the Beacon Baptist Church in Niles, and was a member of the Gulf Park Community Baptist Church in Brooksville, Florida where she was a winter resident. She enjoyed crafts, especially ceremics, and was known to sing in the Karaoke manner at their community in Florida, and at Joey Armadillo’s in Niles. Her greatest joy was her family, and especially her grandchildren. On June 26, 1993 in Niles she married Robert W. Lolmaugh with whom she celebrated last year the twenty-fifth anniversary of their wedding. Surviving family includes her husband, Bob Lolmaugh and children, Jim (& April) Kardisco of Freemont, Nebraska, Holly Kardisco-Thayer of Niles, Eric (& Beth True) Lolmaugh of Niles, Tim Lolmaugh of Niles, Greg (& Eunice) Lolmaugh of Paragould, Arkansas, Diane Lolmaugh of South Bend, Indiana, and Kelly (& Don) Caparell of Chattanooga, Tennessee; nineteen grandchildren and eleven great-grandchildren; Susan’s brother, Doug (& Meg) Grelk of New Berlin, Wisconsin; and many nieces and nephews. She was preceded in death by her parents, and by an infant grandson, Joshua Kardisco, and Susan’s sister, Kristine Grelk. The family of Susan Lolmaugh will host a time to share memories and honor her life later this summer. Contributions in memory of Susan may be made to the Humane Society of Southwest Michigan Yeager Family Pet Shelter, 5400 Niles Road, Saint Joseph, MI 49085; http://humanesocietyswm.org/. Arrangements were made at the Halbritter-Wickens Funeral Home, 615 East Main Street in Niles.